The COPA-DATA Global Partner Academy (GPA) 2018 is over and we had two interesting, fun and enlightening days in Vienna. With more than 200 participants from 30 countries around the world we all had the opportunity to meet up for great discussions and meetings. We'd like to thank all of our participants for making the GPA 2018 a true success. "We discovered new solutions and ways to use zenon we hadn’t thought of before. Also, we enjoyed the social part of the event. Hopefully this event will be repeated. If so, we will be happy to attend once again." "The GPA is a great opportunity not only to meet COPA-DATA employees but also to connect with the various partners from all over the world." "Very useful presentations, great atmosphere, outstanding people!" The Global Partner Academy (GPA) is our partner event held every two years. During the two days of GPA there are several sessions, one-on-one meetings and networking opportunities! Thanks to all of our 200+ participants from 30 countries worldwide, the atmosphere during the GPA 2018 was friendly and open. Take a look at the event photos to get the feeling of how it was. Are you a member of the COPA-DATA Partner Community? 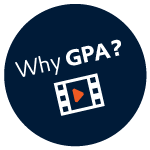 Take the opportunity to explore what has been shared at the GPA 2018 by downloading all presentations in the myArea!